Last Friday, the city’s public information officer, Stefanie Breton, sent out the City Manager’s Newsletter. There was too much to fit into this space, but you can see the full newsletter by going to concordnh.com and clicking on the Newsletter button on the home page. 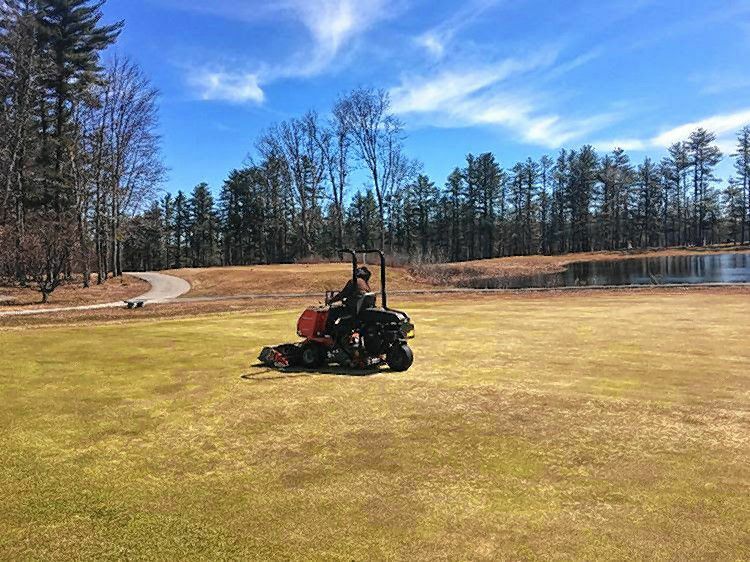 Last Tuesday night’s snowfall scuttled plans to open Wednesday, but Beaver Meadow Golf Course staff spent Thursday finishing preparations for a Friday opening. Once open, Beaver Meadow will jump right into its busy tournament schedule, hosting both the men’s and women’s SNHU multi-team golf matches this week. Book your tee time today. Concord General Services’ Highway and Utilities Division will begin flushing hydrants throughout Concord starting this week. For the next several weeks, three crews will be going out to different areas of the city to flush hydrants as part of required routine maintenance. This annual practice removes any sediment from pipes in the water distribution system and helps to sustain Concord’s water quality and check water pressure of the area. Concord water customers should avoid doing laundry when hydrant flushing is occurring in their area. Customers may experience low water pressure and discolored water during their scheduled flushing time. If discoloration occurs, customers are advised to run their tap water on cold until the water runs clear. Find flushing schedules and more information at concordnh.gov/springoperations. A failed culvert has caused Broad Cove Drive to be closed since last Wednesday to thru traffic from 174 Broad Cove Drive to West Parish Road. The direct cause of the culvert failure is due to aging infrastructure. Recent rain and snowmelt contributed to the decay with excess groundwater and sand erosion around the aging pipe. The actual age of the culvert is unknown. Immediate action is being taken to reopen the road as soon as possible once repairs are made. Crews were expected to start repairs on Monday. Work anticipated includes cutting the road, excavating down to the pipe, restoring the riprap rock material, laying new pipe, backfilling the trench and paving the area of road. Broad Cove Drive will remain closed to thru traffic into this week from 174 Broad Cove Drive to West Parish Road until conditions have been restored. Motorists and emergency vehicles must seek an alternative route. On Monday, April 15, pavement reclamation was to start on the following street sections: Hillside Road (full length), Minot Street (full length), School Street (Westbourne Road to Rum Hill Road), Woodman Street (Minot Street to North Fruit Street) and Westbourne Road (School Street to the dead end). The pavement reclamation process will include the lowering of all catch basins and manholes, grinding the road surface to a 1-foot depth, grading the road and putting down a base layer of pavement. Then the existing granite curb will be reset and any new requested curb will be installed. Existing sidewalks will then be repaired or replaced, manholes and catch basins will be reset, and then the final pavement overlay is applied. Work is weather permitting. During construction, streets will be closed to on-street parking between 7 a.m. and 5 p.m. One lane of traffic will be maintained at all times during construction. Find more information and a tentative schedule of streets approved for paving at concordnh.gov/pavingplan. Repairs to the brick paver crosswalks on North Main Street, from Park Street to Pleasant Street, will begin on Tuesday, April 16. Work is expected to start at 7 a.m. and wrap up by 6 p.m. each day. Construction will begin at Park Street and continue south toward Pleasant Street. All work is expected to be completed by Memorial Day weekend. Updates on the downtown road closures/detours and the work schedule will be provided as the work progresses on the Engineering page of the city’s website (concordnh.gov), as well as via the city’s Twitter and Facebook pages. When the crosswalk work is actively happening, northbound traffic on North Main Street will be detoured east on Pleasant Street to Storrs Street. Southbound traffic will not be detoured. Traffic approaching Main Street from Capitol and Warren streets will be permitted to only make right turns onto North Main Street. Detours will be taken down at the end of each work day and two-way traffic will be allowed to resume each evening. Parking will be maintained outside the immediate construction area to the maximum extent possible. A map of downtown showing the proposed detour route along with some possible alternate ways of accessing Main Street is available on the city’s website. The map also includes some nearby construction occurring on Green Street for the state’s steam system improvements and the detour associated with that project. Updates to this map will be included each Friday on the Engineering webpage and in the City Manager’s Newsletter.